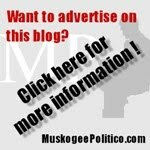 On July 31st, 2008, I punched The Musings of a Muskogee Politico into the 'Create A Blog' field, hit enter, typed up a post... and the rest is history. Yes, I missed it - again. My blog officially turned two years old on Saturday, and I didn't even notice. But, better late than never! Since that first day, you the readers have visited this blog just over 37,000 times and left 328 comments, and I have typed 724 posts. This has been a very enjoyable experience for me, something I did not expect when I first jumped into the blogosphere, and I hope it has been for you as well. It wouldn't have happened without you. 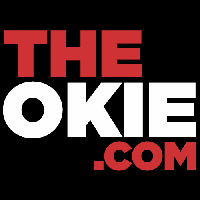 I don't regret doing this for one minute, and I highly recommend to my readers that you join the fun, and start your own blog. You never know who reads your writings and where your posts will end up. 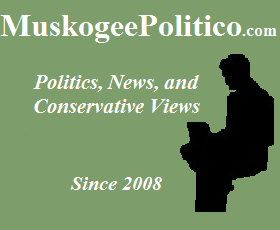 I've had congressmen and statewide elected officials say that they regularly read my blog, and excerpts of my Musings have been printed in the Daily Oklahoman, or picked up by national websites. The impact you can have simply by putting your opinions online can be far-reaching. People oftentimes complain that they can't do anything to make a difference, that their voice is not heard. Start a blog, and you'll be surprised at the results. You'll meet people you never would have come in contact with otherwise, you'll see other viewpoints, and you'll get to vent. You cannot make a difference by staying silent! So, I look forward to another year of sharing my thoughts with you. 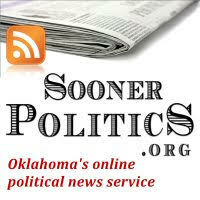 Thanks again for reading the many Musings of a Muskogee Politico! Congrats on the milestone, Jamison! As a fellow blogger, I know what kind of challenge it is to consistently put out readable content, so your achievement is certainly laudable. I also agree with your comments in general about blogging. It's amazing how ordinary folks like ourselves can have an impact on the political discussion just by writing what we think. It is certainly well worth the effort. Way to go, Jamison. 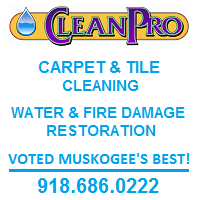 You do a great job here at Muskogee Politico. Keep up the good work. You do a great job! Keep it up!